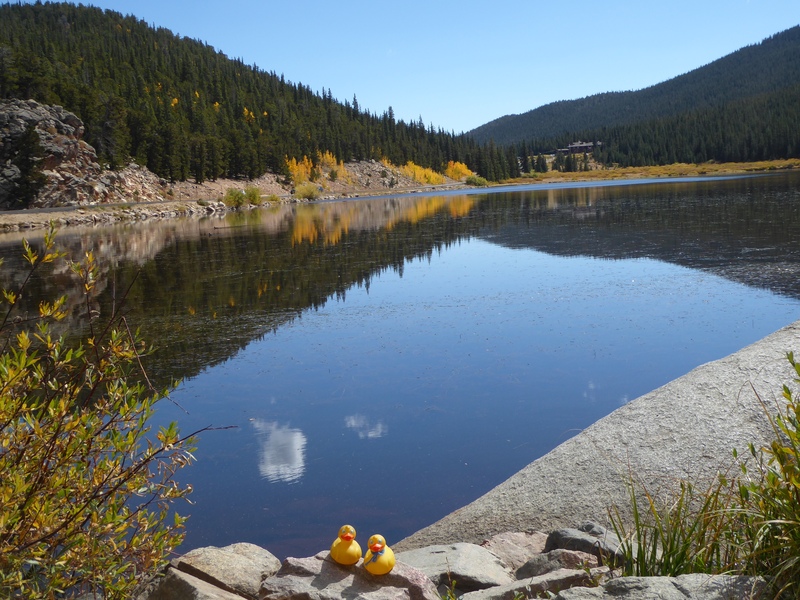 I, Zeb the Duck, take mom and some friends to the nearby mountains and also in the Denver, Colorado area, to view the colors of autumn. You have to see some of what we have seen so far. 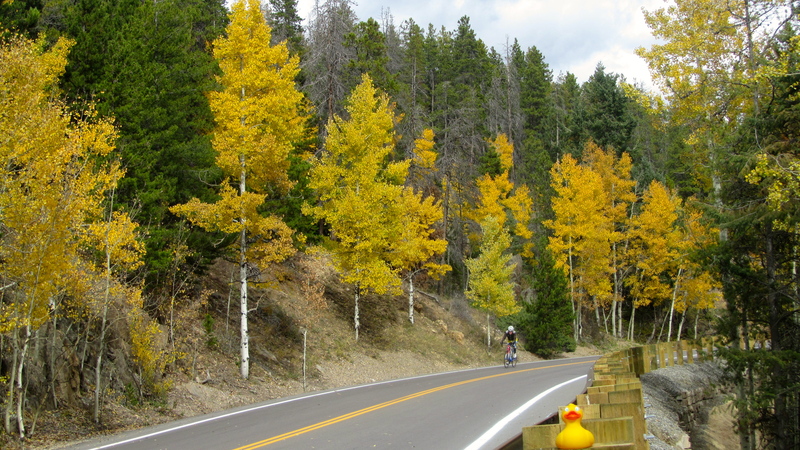 Kenosha Pass has thousands of aspen trees. Yellow aspen with evergreen trees. And they turn the mountainside a vibrant yellow. 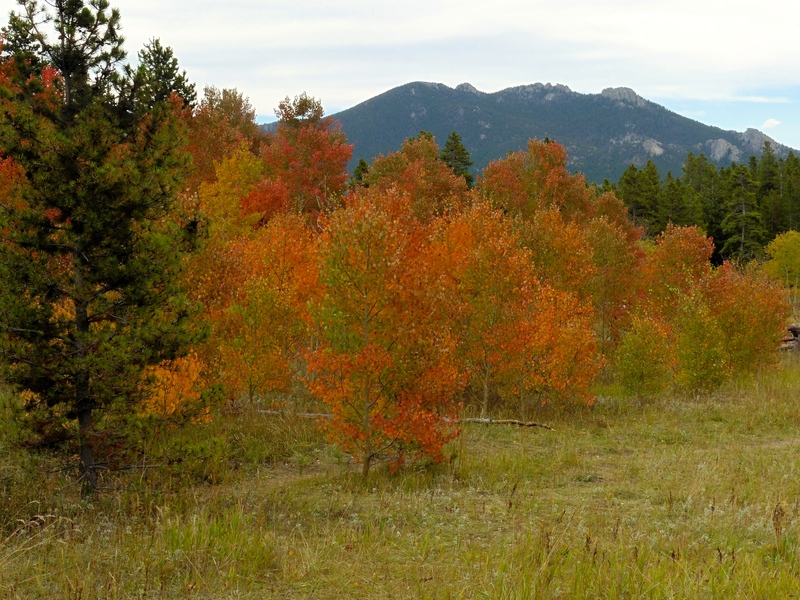 Some aspen turn red for a few days also. We love seeing the less common bursts of red leaves. 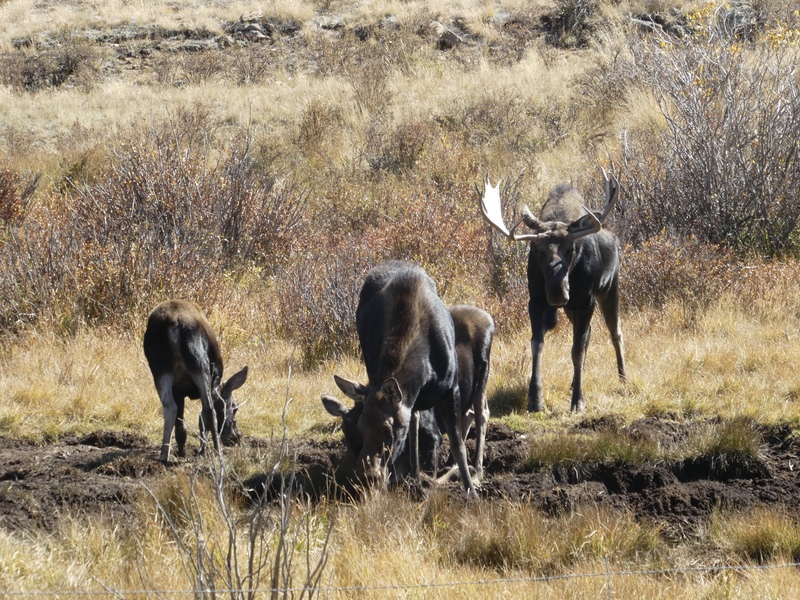 One day at Kenosha Pass, we watched this family of moose. We and many other humans were fascinated by these moose. Another reason we love Colorado. Another day we headed to Echo Lake. We love our mountain lakes. Echo Lake is at the entrance to the road to Mt. Evans. We took you there a few weeks ago. Continuing past Echo Lake, the autumn road looks beautiful. Gorgeous aspen and energetic biker. There is an energetic bicycle rider on the road also. 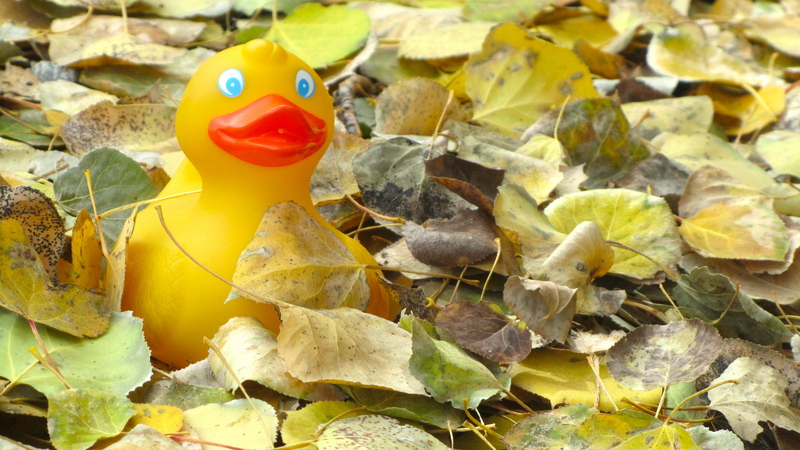 I, Zeb the Duck, wanted to see these leaves up close. So, here I am, sitting on aspen leaves. On this trip, we drove from Blackhawk to Nederland on highway 119. 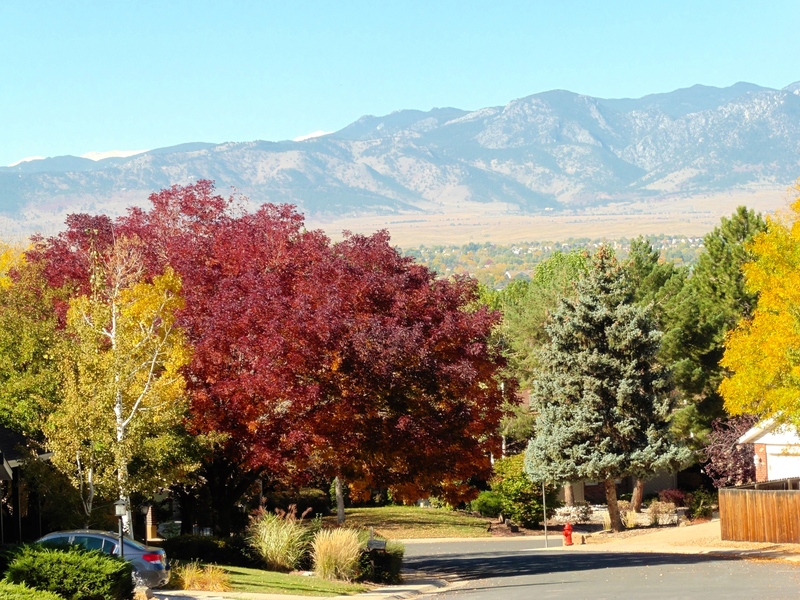 The colors of changing leaves caught my attention with the Rocky Mountains behind. And one of my favorites, a group of red aspen. We love driving through the mountains admiring the fall colors. But, the leaves don’t only turn in the mountains. Beauty right in town. 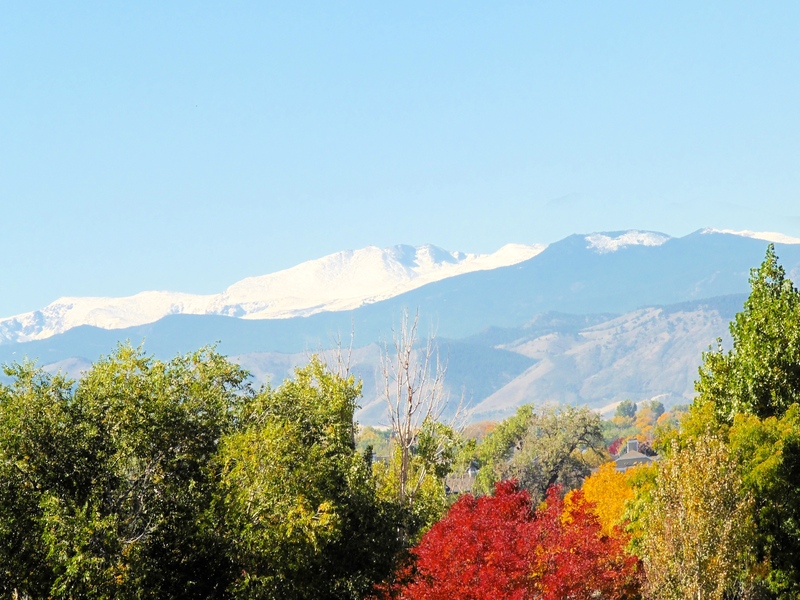 This was a beautiful clear day with new snow on the continental divide. The fresh snow is so pretty. Now I wanted to look up through the leaves and see that beautiful blue Colorado sky. Isn’t it beautiful? 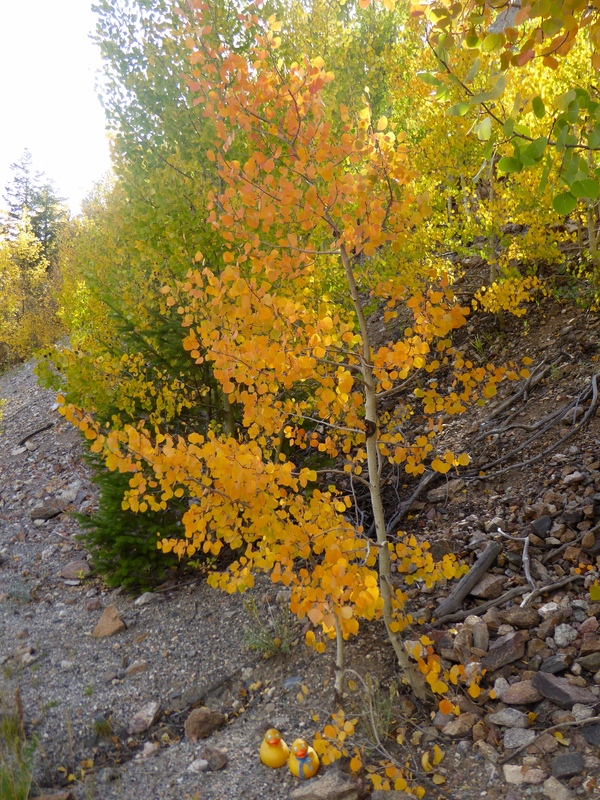 Colorado is famous for the quaking aspen and the beautiful yellow, gold and red leaves in the mountains. But here in town, we have other types of trees. 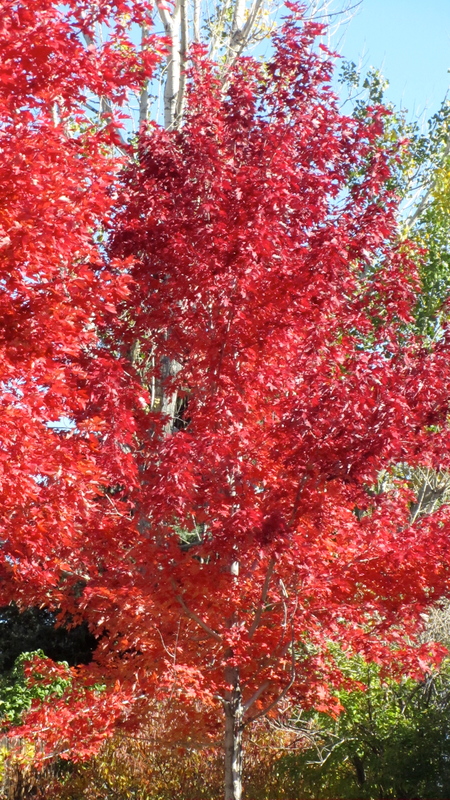 The red maple tree is beautiful sign of fall or autumn in the city. If summer must end, this is a beautiful farewell to the summer days. 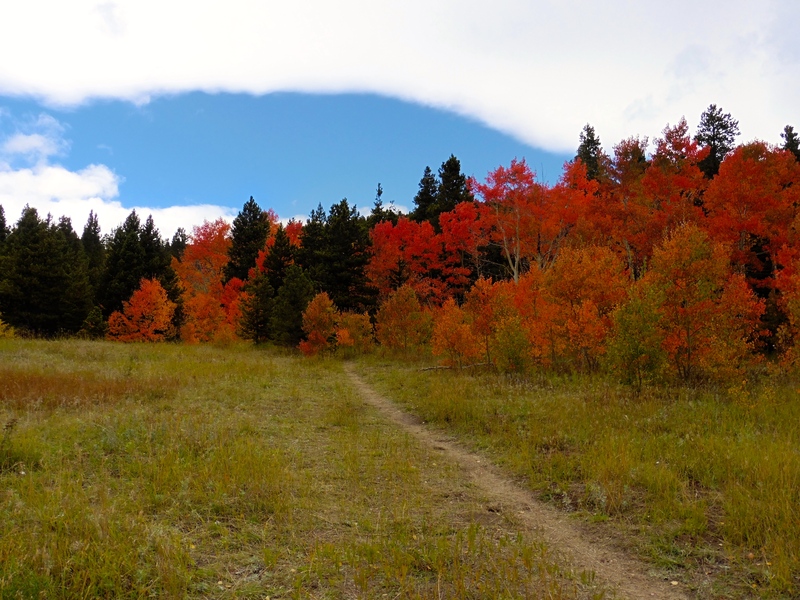 This entry was posted in Colorado, Uncategorized and tagged aspen leaves turning, Autumn leaves, Colorado, Colorado Traveling Ducks, Denver, Echo Lake, fall colors. Bookmark the permalink. Definitely. We are so fortunate to live here. I love the moose family!! So lucky! I’ve lived here for 14 years and have yet to see one. It was a surprise and treat to see them here. Kenosha Pass. I occasionally see them closer to Grand Lake. But never before a family of 4. If you have to go from summer to winter, enjoying these glorious colours is a nice way to do it. 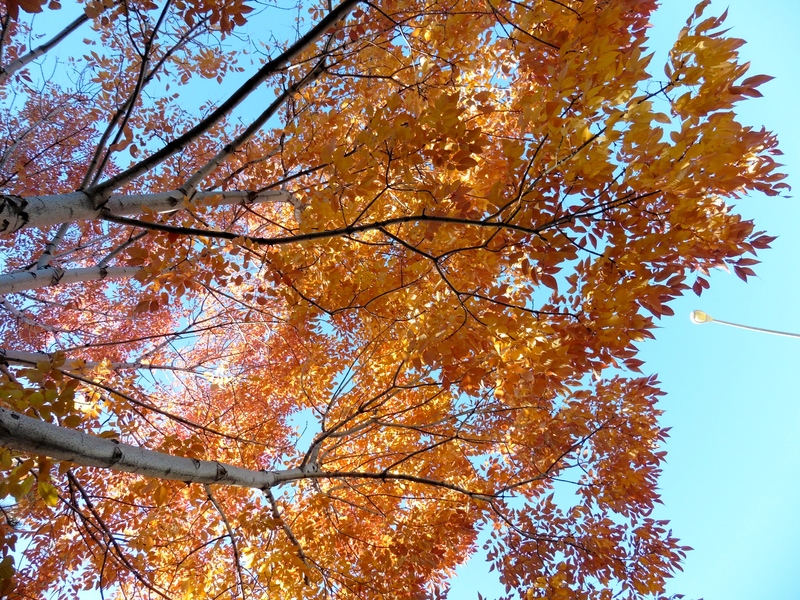 The brightly colored leaves help, and we like fall and winter, but only for a couple weeks. Then I am eagerly awaiting spring and summer. But retirement means no more early morning drives in snow or on ice. So all is well. Enjoy your summer.